Windows Live Writer is a groovy blog editor, but what do you do when you blog from multiple computers? This is how to run this great tool from your Dropbox account. 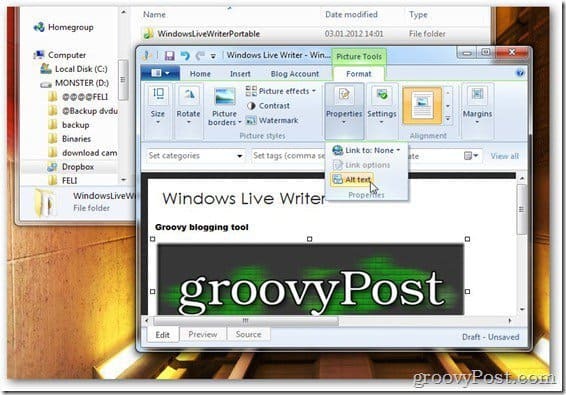 I’m sure you already have Windows Live Writer installed, but if you don’t, get it here. 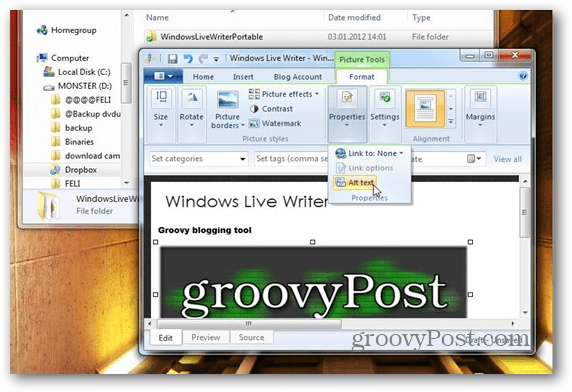 Then download Windows Live Writer Portable. Extract it to a convenient folder in Dropbox. Here I put it in my Dropbox root folder. The next step is the most important. 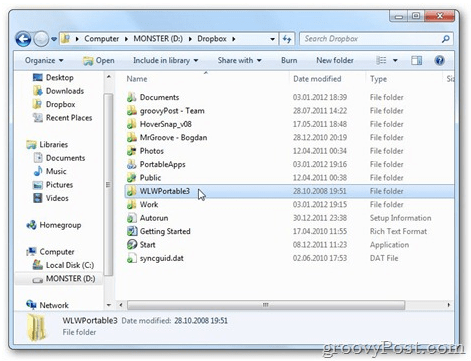 Go to where Windows Live Writer is installed on your hard drive (if you’re using Windows 7, it’s in C:\Program Files (x86)\Windows Live) and copy all the files in the Writer folder to the folder where you extracted Windows Live Writer Portable. 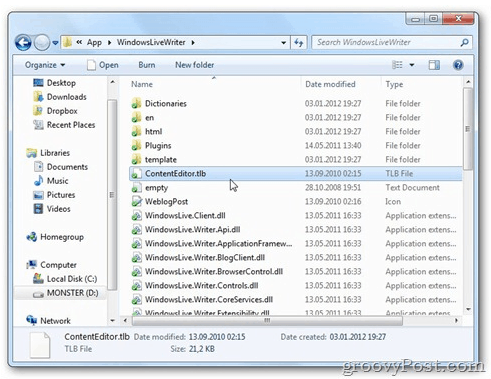 To the App\WindowsLiveWriter subfolder. In my case (remember I’ve unpacked it to the root of my Dropbox), I’ll copy everything to \Dropbox\WLWPortable3\WindowsLiveWriterPortable\App\WindowsLiveWriter. After the files sync to the Dropbox server, whenever I start WindowsLiveWriterPortable.exe, I’m running Windows Live Writer. Since files will sync all the time, I have all of the settings for my sites on every computer my Dropbox syncs with. And since we were talking about Dropbox, here’s a post I wrote a while ago about running the PortableApps suite straight from Dropbox. Great find for bloggers…. Me! You’re most welcome! I’m glad to hear it’s useful. excellent set up. but how to sync drafts and recent posts.